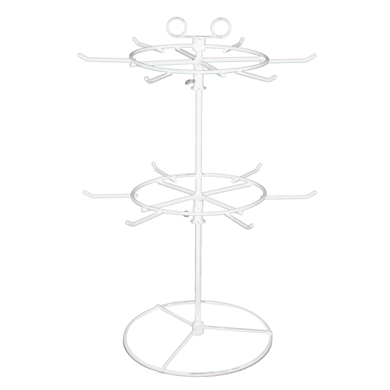 This Peg Counter Spinner has 2 tiers with 6 hooks on each tier. Each peg hook is 2 1/2 in. long. Hook spacing is 4 in. on the inside of the circle and 5 1/2 in. on the outside of the circle. 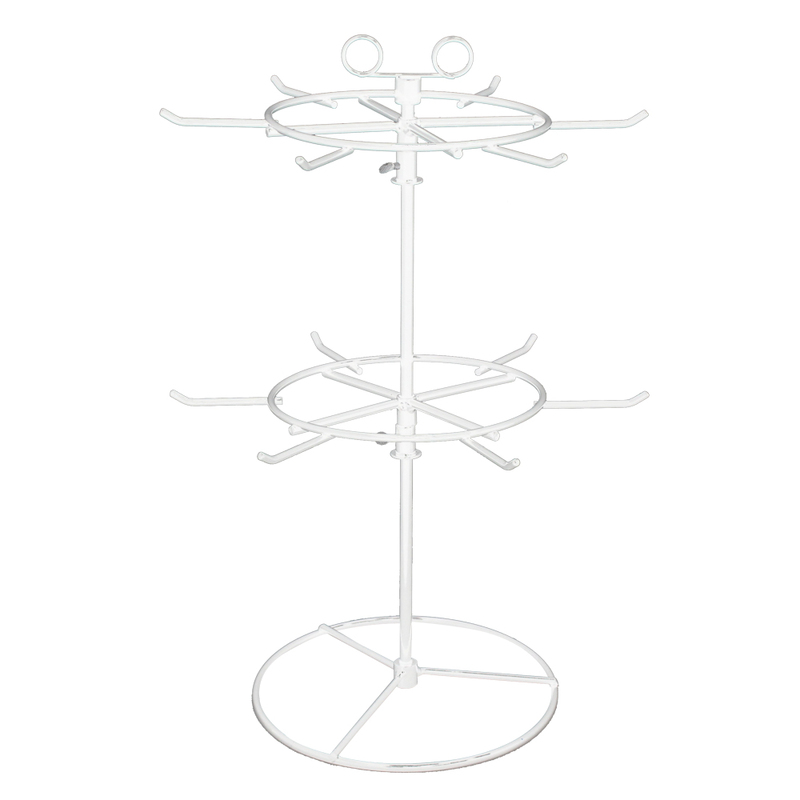 Tiers are independently adjustable and will hold items 7 1/2 in. tall or shorter on each tier. Sign holder is included. Some assembly required.